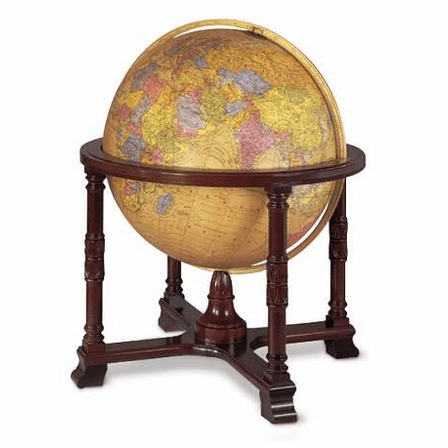 A true collector piece that will make a statement wherever you display it, the Diplomat floor globe, by Replogles, measures 32' in diameter, and is illuminated from within by a 75 watt bulb, adjustable to 3 brightness levels by touching the meridian. 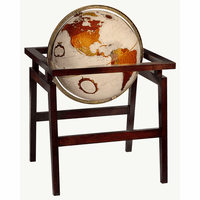 It is designed with an antiqued background, with multi-colored countries and 28,000 place names! 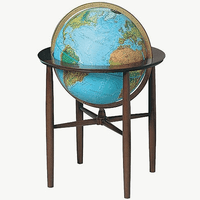 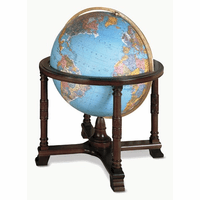 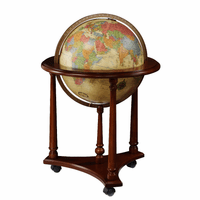 The globe is set in a handcrafted, hand-rubbed mahogany frame, on 4 smooth-rolling casters, and has a hand-engraved and hand-calibrated solid brass meridian. 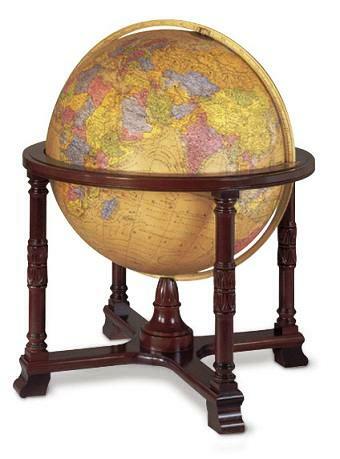 Truly a masterpiece of design and artistry!